The eclipse is here: how we emerge is up to you! What about nuclear bombs and terrorism? Remove subsidies to fossil fuels! What about a really sudden oil crisis? Kelp farms to save the oceans! No Bill of Rights: Democracy instead! The states are not geographically local, they are enormous! Part 5: How do we get there? Part 6: An example, England has no “States”. Former Prime Minister’s Bob Hawke (Labour) and John Howard (Liberal) agree! Other politicians, public figures and groups that also want to disband the states. States cost us $50 billion a year — or 5% of GDP! However, it’s not just the cost of the Parliaments, but the costs to business and extra legislation and adapting systems to each particular state. The definitive Phd on this subject is by Dr Mark Drummond and is has a free PDF version available here. Mark concludes that Australia would save $50 billion or 5% of GDP. Multinational corporations are becoming more powerful than many national governments. Multinationals are encouraged to divide and conquer Australia as they can pick and choose between the lowest tax deals or biggest perks. We often end up in a race to the bottom on taxes, or a race to the largest kick-backs. The world needs strong streamlined national governments that can stand up to the multinationals. The internet and fast communications have enabled a world of information flow that our “founding fathers” could not have imagined. They never imagined globalised corporations with more money and power than many national governments. Arguing that the states form a vital “check and balance” on the powers of national government — rather than being an impediment to getting things done and a handicap in the face of multinational power — is simply an irrelevant hangover from outdated concepts. It’s missing the bigger picture, and out of step with the modern world. The sheer geographic size of Australia is often presented as an argument against abolishing the states which — according to the federationists — represent a local view. However this is laughable. The sheer size of today’s Australian states themselves is overwhelming. We have a huge geographic area and small population: probably one of the lowest population to geography ratios of any nation on the planet. Are today’s enormous states really representing local concerns? What does a parliament in Sydney really know of life in Packsaddle or Broken Hill? You could fit a few European countries between Packsaddle and the NSW parliament in Macquarie Street! Everyone in Australia wants good government services, such as clean efficient hospitals, reliable national rail and roads, and a national education system so children are not punished when families move. We are tired of the feds blaming the states and the states blaming the feds for funding issues. Instead of wasting $9 billion a year in funding excess parliaments, we should encode the separate responsibilities of a streamlined national government, with powers and responsibilities of local governments in the constitution. The national government will provide all Australians with unified legislation, and collect taxes in a vastly simplified tax code, while the local governments focus on service provision. National funding would be allocated to local governments on a population and special regional needs basis. But local governments would meet local needs. Where will the local hospital be? How big will local government areas become? Will some local government vote on merging with another local government? There are regional towns split by artificial state boundaries, each with different state legislation (and sometimes even different time-zones!) Albury-Wodonga might combine services into one larger local government if they were not divided by a state line. That would be their choice. Local governments might combine assets or even split them, based on local priorities! As it is, they are subject to the whims of the massive state governments. In 2016 some local governments were arbitrarily merged by the NSW state government, and citizens like myself did not get to vote on it! Australia only has a population of 21 million and yet has 8 parliaments (for 6 states and 2 territories). That’s one parliament for every 2.6 million people. California has a population of 36.5 million yet is just one state! Why do Australians need 14 times the parliaments that Californians do? Having a large number of people under one unitary set of laws does not in itself demolish democracy, but merely requires smarter constitutional rights of appeal to the citizenry, which Australia currently lacks. Australia is vulnerable because the Australian Government does not have sufficient powers to defend the national economy, or to plan and build for national development. This is the most serious problem facing the nation. The only major national infrastructure project in our history was the Snowy Mountains Scheme, started 50 years ago and authorised under the defence powers of the Commonwealth. There is now much to be done. The Australian Government has vital national responsibilities. The Commonwealth should have the powers to plan and build for national development. Our current system that commenced operation in the days of horses and buggies has become cumbersome and outdated. With today’s transport and rapid communications, the existing group of federal politicians can easily accomplish what was done by six times their number of state politicians in 1901 (and 2004). Politicians seem to have refined ‘duck shoving’ to an art form. We now have a ‘third world’ health system in this country. People in pain are waiting many months, even years, for ‘so called’ elective surgery on knees and hips in our public hospitals. There is no possibility of the system improving while state politicians blame their federal counterparts and vice-versa. Making one person responsible for a problem is the first step in getting it solved. Then if the federal health minister cannot deliver the goods, maybe at the next election we will find someone who can. You do not have to be an accountant to see the savings that would be achieved if all state and territory politicians retired. Why should Australians continue to pay for eight regular state and territory elections, as well as politicians’ salaries, superannuation and necessary expenses such as overseas travel? Wouldn’t we all benefit from a single public education system, rather than different ones in each state? If we take the Australian Air Force as an example, each family usually moves to a different state every two years. Changing to a completely different education system each time must be real fun for the children! Do Victorians really need to be educated differently to Queenslanders? We hope not. Firms that operate in more than one state incur huge costs in complying with different state laws and regulations for items as diverse as occupational health and safety to insurance. Even doctors, nurses and tradespersons require additional registration or licences to work in different states. The Victorian state Government, to its credit, has attempted to address some of these anomalies, particularly those applying in the Albury-Wadonga area. Unfortunately, it found the problem to be too hard and gave up. This is a shame, as the cost of interstate anomalies is estimated to be TEN BILLION DOLLARS PER YEAR! Australia is a dry country and water resources are scarce. Doesn’t it seem ridiculous that different states are squabbling about who owns what? With one central body taking charge, we could have a chance of ensuring that all Australians received a fair share. We need good politicians and have many of them. Some, however, are not quite as good as others. Without state governments, there would only be jobs for about 20% of the current state and federal politicians. It is probably wishful thinking to expect political parties to nominate the best 20% from their ranks as candidates for the positions available, but we can hope. If we must have politicians, it would make sense to know that we only had the very best in the country on our payroll. Abolition of state and territory governments gives us a great opportunity to get new and better national laws to replace the existing state ones, many of which are clumsy and outdated. It does not seem unreasonable to expect our new top-flight federal politicians to come up with fresh legislation that will combine the very best features from the laws of individual states. Or see ABC’s “Difference of Opinion” from August 2007. Some countries have the ability to trigger a referendum if an unpopular law is about to be passed. EG: A “large enough” petition is signed by citizens, which then prompts a referendum and broader public discussion over the issue. The referendum is then binding. Australian citizens cannot even trigger a national referendum. Only political parties can! Consider how stunted that makes our constitutional reform process. A groundswell of popular citizen opinion is crippled by the federal politicians that gain from having state politicians “on-side” to achieve national goals. This effectively means that federal politicians are not likely to consider putting forward a referendum to abolish the states when they currently need state politicians to work on other projects (such as saving the Murray Darling river) which would be so much easier if only the states did not exist in the first place! Talk about “Catch 22”. In a similar vein, Australians do not have the right to recall their local member to have another election if they become exceedingly unpopular. An emergency vote would only be initiated if enough citizens signed a petition. Anthony Nicholas of Beyond Federation has put together a nice alternative constitution for us to debate. The Draft Specifications for a Citizens Constitution presented here are intended not only, to make our dysfunctional federal system of government effective and efficient, but also, more responsive and accountable. They would obviate some of the disabilities of our political system, such as the disruptive electoral cycle, counter-productive adversarial politics, blame-shifting between governments and policy auctions at election time. The most obvious element is the reduction of the number of levels of elected government from three to two by abolishing state parliaments and territory assemblies. Their responsibilities would be divided between a reformed national parliament, attending to issues of national significance, and enhanced local governments, acting collaboratively to attend to all others. Decision-making would be shifted toward the operational level, allowing opportunities for increased efficiency. Without significant disruption, the regionalised functions of the states and territories would become the responsibility of boards of management nominated by the local governments in the regions appropriate for each function. Local government would be enhanced by the wealth of talent released by the abolition of state parliaments. The national parliament would consist of 400 members, elected for single terms of five years from 40 electorates. Elections , in which each voter may select one man and one women, would be held successively, one electorate at a time, (by a postal ballot every six or seven weeks). The “electoral cycle” would become an historical item. An executive council of ten would be elected from the national parliament to run the country, together with four executive committees with specific duties. One committee would appoint and manage the staff of all government services, another would set and enforce standards of financial management for governments, a third would investigate and disclose improprieties in government and its agencies, while a fourth would provide an interface with local government. Elections to these bodies would be by a proportional method and members would hold office for not more than eight years. The proposals also include several basic guarantees including the separation of church and state, citizens’ rights, real values for money amounts in legislation and freedom of information. a legal requirement to hold a Constitutional Convention every 10 years to monitor any needed refinements for Constitutional change in an ever changing world. If we look at the Country of England (as opposed to the political entity that is the United Kingdom), it has no states but local County governments have been formed into 10 “regions”. See the Regions of England wiki. So there’s the top tier of government with elections for the national House of Lords and Parliament, and then there’s elections at the local County level but no elections for the Regions of England. Note: These ‘regions’ are a middle tier of government and are not to be confused with European regions, which seem to be more about recognising the existing claims to statehood over regions with disputed territorial sovereignty. (Such as Scotland in the UK, autonomous region of Belgium, the Basque Country, which lies in both north-eastern Spain and south-west France, and Catalonia which lies in eastern Spain). Former Prime Minister’s Bob Hawke and John Howard agree! They both agree that the Australian Federation should go, and that there would be a national and local / regional government make up to create a far more efficient Australian government system. Politicians, public figures and groups calling to disband the states. This address is reproduced, with corrections, here at the FNR website. The States: One More Obstacle – Do We Need Them? There is a reference to a document titled ‘Abolition of the states [manuscript] : Australia’s great leap forward?’ by Louise A Chappell, 1996. — , 13 leaves ; 30 cm. My vote certainly goes towards abolition of state governments in Australia. That is the only way for this country to move ahead and to become trully independent. This doesn’t convince me that just having one BIG Government will improve things. Gillard just wouldn’t give any real answer re Gulgong. Tebbutt it seems cannot do anything because the hospital money is now controlled by Canberra. So Rudd push to centralise is achieveing nothing. We need to encourage people to live in small towns……….. Yes, but how? I guess it depends on the viability of their local economies. Health is part State and part Federal. I know quite a few people in health that wanted Kev to carry through with his promise that the Feds would take over! The duplication in administration and red tape is unreal. So while a National government department of health would simply set policy on splitting the funds between various ‘regions’ on a per-capita basis (and needs basis, for outback areas that might require some extra services because of the vast distances involved), the local regions themselves would run things. Local hospital boards would be set up. Devolution of powers (if not funds) is occurring right now in England. The Economist calls it quite radical! I imagine local government Shires would have the powers to split the funds they were allocated as they saw fit. Local government elections would sort out issues such as smaller local hospitals and larger regional, multi-council hospitals (like Westmead). For some things it is better at the super-local level, like keeping Gulgong and even North Epping’s Poplar’s hospitals going. Imagine if we’d been able to vote about that! Local democracy, whether at the immediate council or coalition of councils levels, would decide! Indeed, councils could even vote to merge their administration resources and become a larger super-council, as has happened in Queensland. Or not. It would depend on the vote. But the bottom line to remember in all this: Local councils are currently the kicking boys of both the State and Federal governments. Imagine if they had various Constitutionally guaranteed powers, and there was no State government bossing them around? There were just clear powers spelt out between Shires and the National government! Now that would be an interesting system! That might Aussies actually engaging with local politics again. 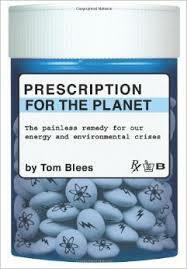 James Hansen promotes this FREE book as THE solution to climate change!